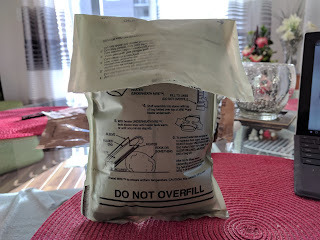 I have been given the awesome opportunity to review some good old MREs. 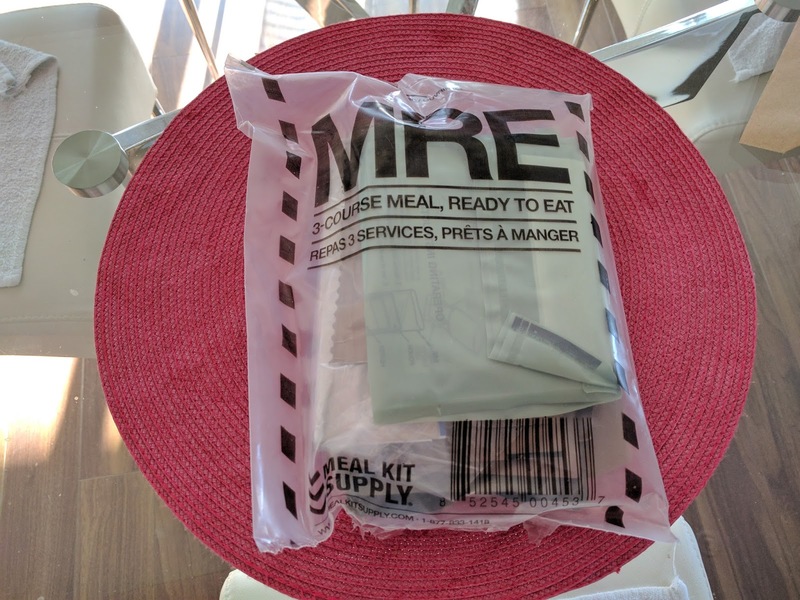 Well, what exactly is an MRE? An MRE is a Meal Ready To Eat. The meals are designed for soldiers who’re in the field and for the general use of people who are out on the road and who might do a lot of camping. I must say the overall process of asking for a sample product was very easy and was so simple that almost anyone can purchase some. The company’s support teams were very professionals and were quick to reply to all of my questions. The company Meal Kit Supply Canada was great and I do thank them a lot for sending me a sample meal. The shipping was also great and arrived within two to three days (during the week). The package itself was also well packaged and was compact so that almost anyone can get them and get the option to taste such cool foods. The Meals were. How does one say it? Amazing, they tasted great and filled me up quickly. I have always enjoyed the meals provided by the company since I used to be a Cadet and they bought MREs from the same company (Meal Kit Supply Canada). I have extensive experience with eating these meals and I'll say this, I have enjoyed every single one of them. The exact meal that I got this time was tortellini and FE style rice with beans. I enjoyed them although I must say that the tortellini took a little longer to cook but that might just be because I put two meals in the heating packet. The rest of the meal consisted of juice that said grape on it and was blue. It was a carbohydrate drink. It was very easy to make and it went great with the companies version of a pop tart and crackers. The only real issue that I had with the meals was that the crackers broke a little bit. Other than that these meals are amazing. My meal also consisted of peanut butter that tasted thick and smooth, just the way many people like their peanut butter. The entire meal even came with a heating packet that was easy to use and set up. Meal Kit even gives a step by step guide on the heating element. The bag also tells you that hydrogen may be produced when the element is cooking your food (that’s probably the smoke coming out of the bag). 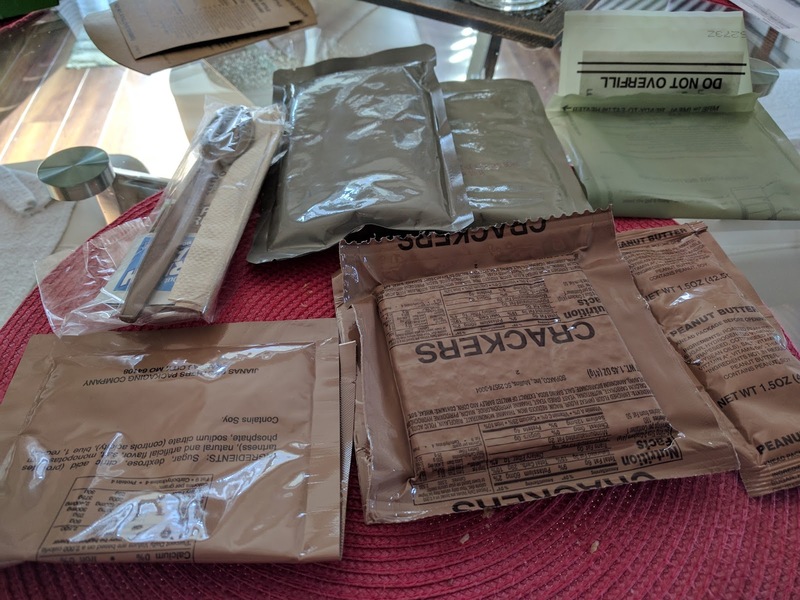 All in all, I believe that this meal and the others that I have tried in my time of eating Meal Kit Supply Canada’s MREs are all amazing. The customer service is great and the shipping is fast. The meals on their own are exquisite and remarkable, to say the least. The company even provides these meals to cadets. The entire experience on a scale of 1 - 10 is a solid 9/10. 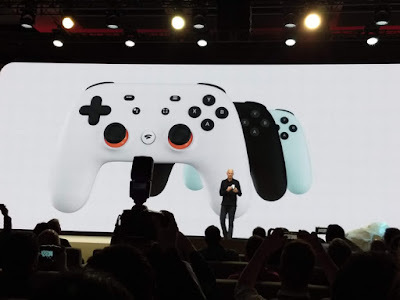 However, the only real issue I experienced was with the heating element being a little too hot to open up but that’s not a real problem since you can just let it cool off.